The CT5 shows Cadillac isn’t giving up on sedans. The New York auto show will highlight the contrasting strategies that Cadillac and Lincoln are using to increase sales and market share. 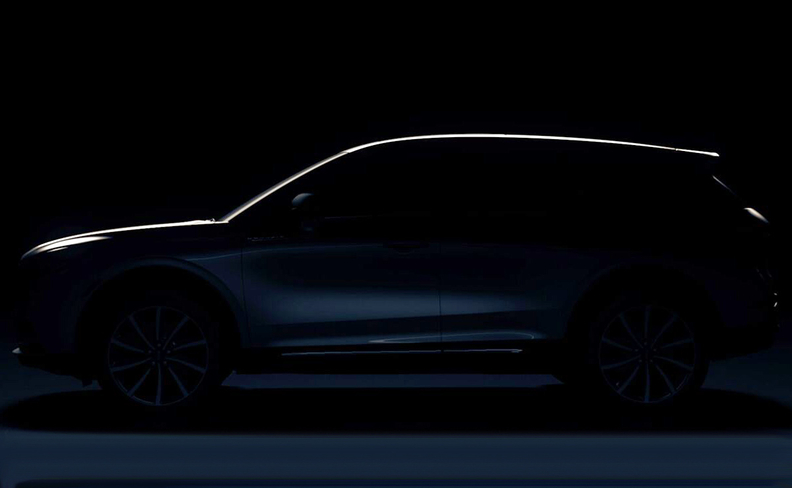 Traditionally heavy on luxury vehicle debuts, the show, which begins this week, will include the unveiling of the Lincoln Corsair, a compact crossover that replaces the MKC, signaling Lincoln's focus on utilities and its continued purge of alphanumeric monikers in favor of real names. Although Cadillac doesn't have a scheduled press conference, it's expected to debut the CT5 sedan, a replacement for the ATS. Unlike its rival, Cadillac continues to use names made from letters and numbers and believes there's more room in its lineup for sedans. Both vehicles will take their Big Apple bows amid transition periods for their respective brands. Lincoln is trying to rebound from two straight years of U.S. sales declines and wants to continue the momentum started by the Navigator, Nautilus and Aviator utilities. Cadillac is overhauling its own portfolio and is in the midst of launching a new or redesigned product roughly every six months through 2021. 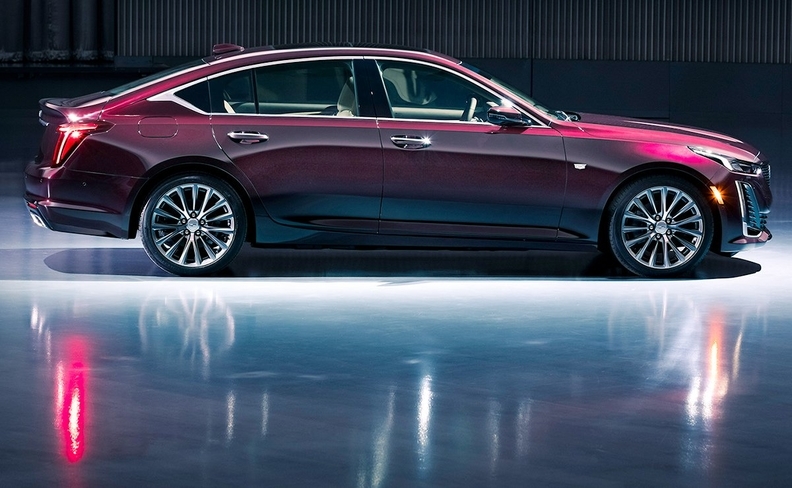 Cadillac introduced the CT5 last month online, with Andrew Smith, Cadillac's executive director of global design, proclaiming, "Boring sedans are dead." The car has a smoother, fastback design. A 2.0-liter, four-cylinder turbo engine is standard, and buyers can upgrade to a 3.0-liter, twin-turbo V-6. Both engines are mated to a 10-speed transmission. The Corsair, named for a pirate ship as well as a World War II fighter plane, will sit on the new front-wheel-drive architecture that also underpins the redesigned Ford Escape crossover unveiled this month. The Corsair also is expected to come in a plug-in hybrid variant. Here are some other highlights of the New York show. Audi will show freshened versions of its performance two-seaters: the R8 supercar and TT RS sports coupe, with both expected to include some interior refinements and exterior styling changes. Hyundai's utility blitz continues with the addition of the Venue, a subcompact crossover to slot below the Kona in its lineup. Hyundai Motor America interim CEO William Lee said at the Detroit auto show that he's expecting it to go on sale in October or November. Mercedes-Benz will showcase AMG variants of its GLC crossover and A-class sedan, here. Mercedes will debut a redesigned GLS flagship crossover featuring its new multimedia system and a new interior. The GLS will have an active E-Active Body Control suspension based on a 48-volt network similar to the GLE. The GLS will be offered with an inline six-cylinder engine, delivering at least 360 hp. An AMG variant would have a V-6 engine. With the GLS being a flagship SUV, a 4.0-liter twin-turbo V-8 engine, used in the S class, could also be offered. The GLS helped create the luxury family crossover segment, which is getting crowded with competition from the Audi Q7, BMW X7, Cadillac XT6 and Infiniti QX60. With prices up to $100,000, these models are excellent profit centers for their brands. Also being debuted is a redesigned GLC Coupe with a new engine lineup and driving assistance systems. Mercedes' AMG performance brand also will be in the spotlight. AMG variants of the GLC crossover and A-class and CLA sedans will debut in New York. 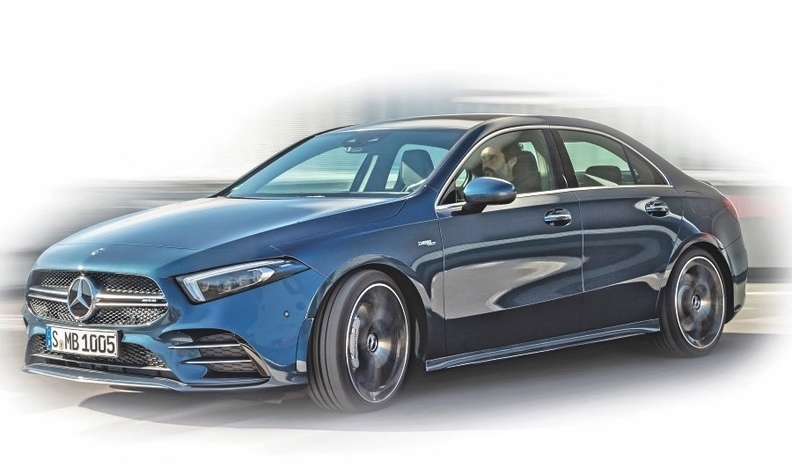 The AMG sedans feature a 2.0-liter four-cylinder engine and seven-speed dual clutch transmission. The automaker will celebrate the 50th anniversary of the Nissan GT-R and 370Z sports cars. Also making its auto show debut is the third- generation 2020 Nissan Versa, scheduled to go on sale in the summer. The 2020 Nissan GT-R NISMO features new GT3 turbochargers for improved engine response and acceleration, better transmission control for quicker cornering, and new carbon ceramic brakes. Weight has been reduced through the use of carbon fiber in the roof, hood and front fenders. It will be available this summer. The 2020 Nissan 370Z 50th Anniversary Edition commemorates the original 1970 Datsun 240Z with special exterior and interior appearance enhancements. Based on the 370Z Coupe Sport, it is available in a choice of two exterior two-tone color options: white and red or silver and black. It goes on sale this month with a choice of manual or automatic transmission. The 2020 Nissan Versa sports a design update and standard features typically found in pricier models. It's powered by a 1.6-liter four-cylinder engine that delivers 122 hp. The entry-level sedan is longer, lower and wider than the previous version. Nissan's advanced Safety Shield 360 technology suite will be standard on Versa SV and SR trims. Lincoln keeps its focus on utilities with the Corsair. Porsche will debut the 911 Speedster after showing a concept version at the Rennsport Reunion event in September. The open-top car is powered by a flat-six engine that delivers about 500 hp. Just. 1,948 units of the two-seater will be built. Subaru will introduce the redesigned 2020 Outback crossover. The Outback, Subaru's top-selling model in the U.S. and one of its oldest nameplates, competes in the increasingly crowded midsize crossover segment. The Outback is the best seller in the segment through March, leading the Honda Pilot, Ford Edge and Hyundai Santa Fe, as well as two resurrected nameplates, the Honda Passport and Chevrolet Blazer. In a teaser photo Subaru released last week, the redesigned Outback is shown against a scenic backdrop. A decent amount of the vehicle was visible, including a portion of a headlight, wheels, lower body cladding and what appeared to be a cargo basket on the roof, likely a nod to Subaru customers' outdoorsy ethos. The Outback will be the latest Subaru model redesigned onto the brand's Global Platform, following the Legacy and Forester, which debuted at last year's New York show. A redesigned 2020 Toyota Highlander crossover will anchor the Japanese brand's updates. The Highlander is moving to a version of the Toyota New Global Architecture platform. Full details of the switch aren't available, but it should include the automaker's latest safety and technology updates. The brand also will show the resurrected Yaris hatchback. A year after tantalizing consumers with a concept unibody lifestyle pickup based on its Atlas crossover, Volkswagen will test consumer reaction to another concept pickup, the Tarok. Larry P. Vellequette, Urvaksh Karkaria and Jack Walsworth contributed to this report.